GATE 2014 Examination will be ONLINE for Chemical Engineering & Civil Engineering. GATE 2014 Examination will be OFFLINE for Electrical Engineering, Electronics & Communication, Instrumentation Engineering, Computer Science & IT and Mechanical Engineering. NOTE: General Aptitude (GA-15 Marks) is common for all the engineering branch (Civil-CE, Computer Science-CS, Information technology-IT, CE, Mech, EE, ECE, IN. Question of General Aptitude will remain same for branches held in same seating. Engineering Mathematics Syllabus for Electrical Engineering, Electronics & Communication Engineering & Instrumentation Engineering is same and same question would be asked in the examination of gate 2014. Engineering Mathematics Syllabus for Civil Engineering, Chemical Engineering & Mechanical Engineering is same and same question would be asked in the examination of gate 2014. General Aptitude (GA) Section: Same Question will be expected for Electrical Engineering, Electronics & Communication Engineering & Instrumentation engineering in the examination of gate 2014. Same Question will be asked for Civil Engineering & Chemical Engineering in the examination of gate 2014. Above information are expected as per recent year examination, further changes will be updated on release of GATE-2014 official notification. 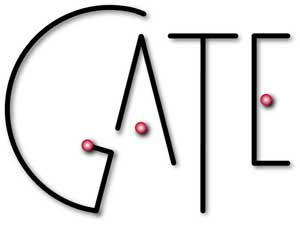 I want to start the Gate-2015 preparation.Could you provide me some information tips.